1. Register your Aritic as Twitter app under http://apps.twitter.com. It’s required to let Aritic read/write tweets. 2. Click on “Create New App”. 4. After the app has been created, update the application icon and organization attributes. 5. Next, we need to set _read, write and access direct messages permissions_ for the app. 6. Go to “Keys and Access Token” tab and note the “Consumer Key” and “Consumer Secret”. 8. Click on “Connect Twitter App” and enter your “Consumer Key”, “Consumer Secret” and verify the “Callback URL”. 9. 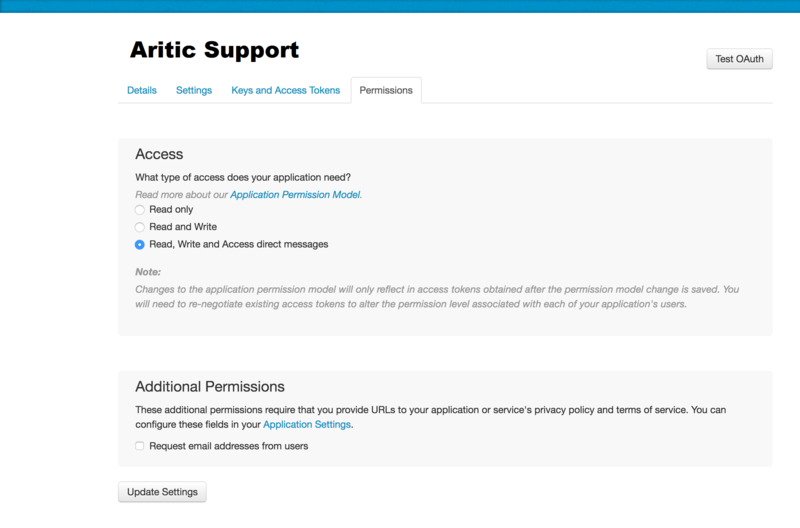 Done, your Aritic is configured as Twitter App now. 10. Now you need to link your Twitter Account from which you want to get tweets and send out tweets. 11. 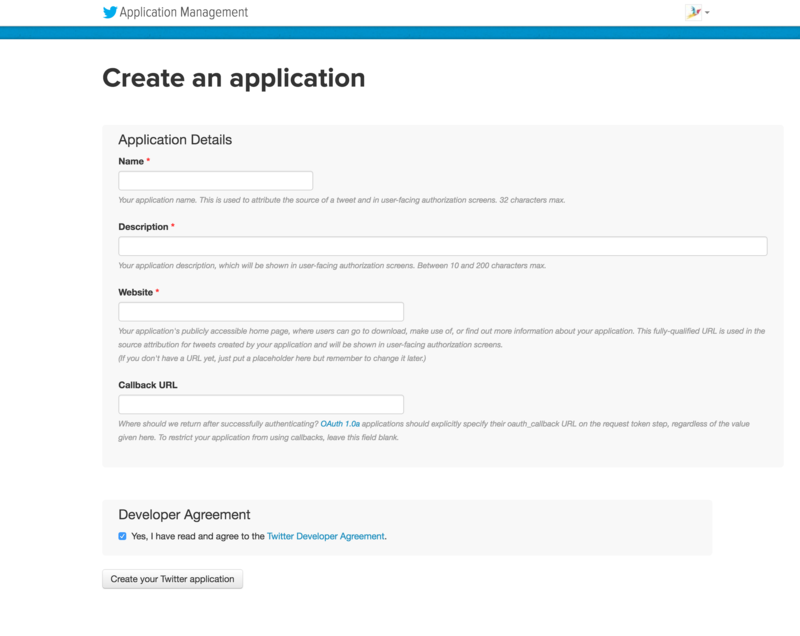 Click on “Add Account”, then you will see the authorize app page of Twitter. 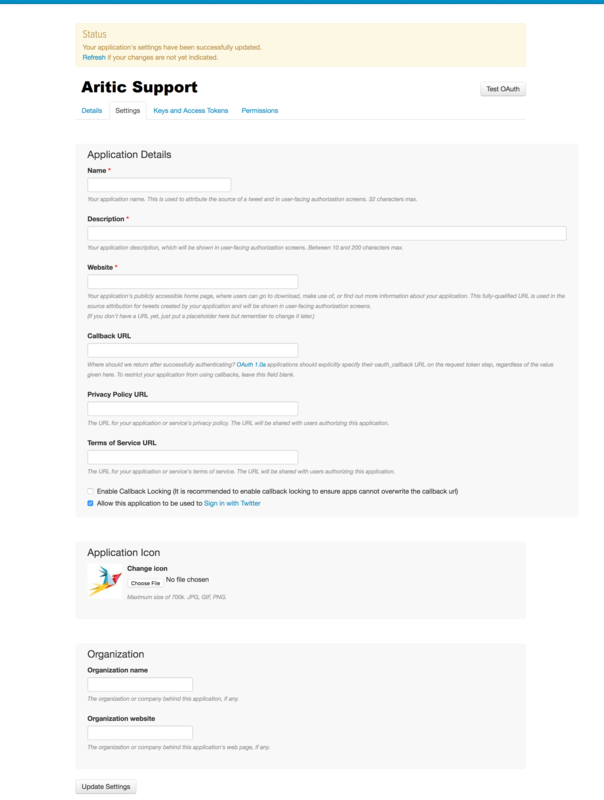 Click on “authorize app”. 12. You will get redirected back to Aritic. Now you need to configure your search keys, where mentions and direct messages should get routed. 13. After you are done, you will get an overview of all linked Twitter Accounts. 14. 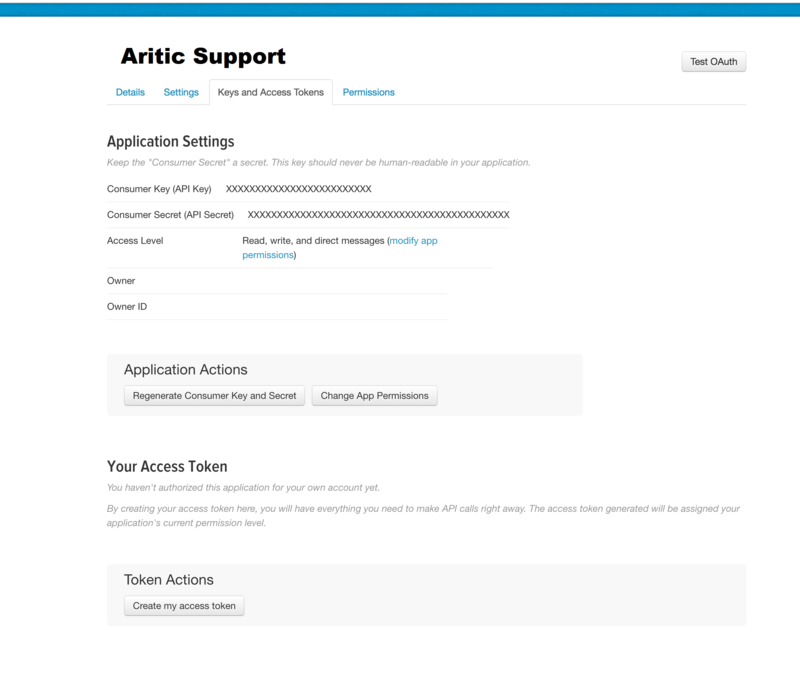 Start and write a message (direct message or tweet), short time later you will have a new ticket in Aritic. 15. Just click on the reply button (as you do it for emails) to send a reply.